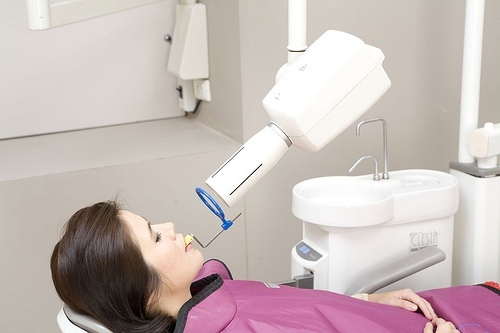 Digital radiography (digital x-ray) is the most current technology used to take dental x-rays. This technique uses an electronic sensor (instead of x-ray film) that captures and stores the digital image on a computer. This image can be scanned through our x-ray scanner and then instantly viewed and enlarged helping us detect problems easier. Digital x-rays can reduce radiation 80-90% compared to the already low exposure of traditional dental x-rays.